The Kansas City Royals have already started a summer fire sale, making multiple trades, and the Texas Rangers may soon join them in unloading impact players. According to reports, the Rangers are making several players available to contending teams. The biggest name who the Rangers are willing to trade is veteran third baseman Adrian Beltre, who’s in the middle of another productive campaign. Despite winning seven games in a row, Texas began Sunday 10 games under .500 and 17 games out of first place in the AL West. It’s clear that the Rangers are moving toward a full-scale rebuild. With Beltre being 39 and in the last year of his contract, he’s obviously not a part of the team’s future. With the kind of season he’s having, it’d be foolish not to trade Beltre and get something in return. Beltre is currently hitting .314. While his power has started to decline, hitting just four home runs this season, he is still producing an OPS of .820. Perhaps more importantly, Beltre has started to look healthy after a couple brief stints on the DL earlier this season due to a minor hamstring problem. The Phillies have reportedly expressed interest in Beltre and sent scouts to watch him. But they may not be the only team looking to add a professional hitter like Beltre before the trade deadline. Of course, Beltre has a full no-trade clause, so he has the power to veto any trade. That could allow him to dictate where he gets traded and even if he gets traded. Also, with the trade deadline more than a month away, Beltre insists that he’s not thinking about where he may want to go if the Rangers start fielding suitable offers for him. The other players who the Rangers are reportedly willing to deal right now are relief pitchers Jake Diekman and Keone Kela. Diekman, who is a free agent after the season, is having a strong season after missing most of 2017 with a medical issue. The lefty has a 2.96 ERA and has actually been more effective against right-handed hitters this year. Kela could also be a valuable trade chip for the Rangers. He has served as the Texas closer this year, converting 18 saves in 18 opportunities while posting a 3.67 ERA. Kela is also under team control through the 2020 season. Since any rebuilding effort is likely to last beyond 2020, the Rangers can look to trade Kela while he’s at his most valuable. Outside of Beltre, Diekman, and Kela, no Rangers have been specifically named as players the team will actively shop. However, pitchers like Cole Hamels, Doug Fister, Matt Moore, Bartolo Colon could all garner interest on the trade market. Outfielder Shin-Soo Choo could also be a player on the trade block despite his high salary. 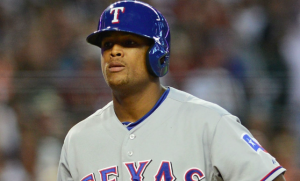 It remains to be seen how eager the Rangers are to trade their players, particularly Beltre. As mentioned, the Royals have not been hesitant to start the process of selling off pieces, and the Rangers may be wise to move quickly as well. If the Rangers are serious about rebuilding, the sooner they get it started, the better off they may be in the long run.